Customers new and old depend on you to be a forerunner for new ideas in container gardening all year long. From New Year’s Day to New Year’s Eve, a well-designed container garden has the ability to impact sales in the nursery in innumerable ways. From trees and shrubs to miniatures, from edibles to art, the only limit is your business-savvy imagination. The love of container gardening is picking up new fans every season. Our new and old reliable customers are depending on you to be a forerunner for new ideas in this specialty. Because the economy has changed in the last few years, the demographics that make container gardening a booming success are growing every year. Downsized living spaces, downsized budgets, and four seasons of interest are just a few of the reasons that containers are trending in the industry. Garden centers that offer custom planting in purchased or customer-owned containers are building a loyal following and seeing the value in continuing to utilize this service every year. Even DIY planting benches in a garden center can attract buyers who want to get their hands dirty. If given the proper tools, your container design team is potentially one of your greatest sources of creative ideas for increasing sales. From landscape designers and real estate agents to event planners and other types of neighboring local businesses (many you may never have even thought of), this division of the garden center can be a resource to all kinds of businesses. 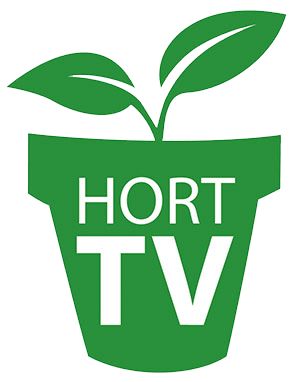 Astute garden centers are already setting the pace when it comes to learning the techniques that capitalize on market demographics, pricing, customization and inventory control to transform your container gardening division into the talk of the town. The container design team can coordinate seasonally with buyers and growers to pre-plan which plants, containers and accessories would be on trend for the following season and even from month to month. 1) Retail costs of goods + rounding up to nearest price point that you’re comfortable with. 2) For custom containers: retail costs of goods + 15 percent (with purchase of a container or plants of $100 or more, it would be free) for added incentive to sell pottery. 3) For customer-owned containers: the retail cost of plants + 15 percent, then you most likely will have a delivery fee added as well. 4) Typically an added fee would be charged for pots that are not cleaned out in advance. The rule here is keep it simple and easy for your employees to sell! Don’t nickel and dime the customer with a rising scale based on container dimensions. Some higher-end containers actually act as nothing more than a mannequin to sell plants. So, display those plants all around the mannequin, just as a department store would with its seasonal merchandise. That combination of plants might sell multiple times over in a short period. On the other hand the high-end, dramatic and over-the-top containers can be extremely prolific sellers. This is where it’s critical to know your demographic. You might be giving them cheeseburgers when they really want lobster! Look for what’s hot and trendy, make some that are conservative, some that are tropical  something for everyone. But, above all, I try to keep a consistent selection of varied price points available at all times. By keeping a full stock of the mid-range containers in all different types of combinations, you can ensure that you are able to either use up plants that have gotten “shop weary” or that are just plain cool, and you want to feature them in a way that shows them off. Alternatively, maybe you want a full selection of “Grab & Go” pots for a holiday that covers a particular price point. How about themed pots in your favorite team colors? The possibilities are endless. We are adding value by reinforcing the perceived worth to a professionally designed container garden by good sales technique and great plants. If we add some hardy perennials, small shrubs, edibles, etc., to a well-priced container garden, we are not selling simply that geranium or petunia, but also plants that come back year after year. This means we’re selling long-term advice, soil amendments, fertilizers, tools and more. We’re creating a relational sale, rather than just a few annuals to color up the front porch. And most important, you are ensuring that this year’s customer is next year’s customer because they will want to bring that pot back to have it done again and again! 1) To know they are making good plant/design choices. 2) To know how they can be better. 4) To know more about YOU! Customers new and old depend on you to be a forerunner for new ideas in container gardening all year long. Know that your container gardening department can generate 365 days of sales. Christina Salwitz is The Personal Garden Coach. She is a horticultural guidance counselor, a garden writer, and a container gardening designer at Furney's Nursery in Des Moines, Wash. Reach Christina at [email protected] or visit her blog, www.personalgardencoach.wordpress.com.